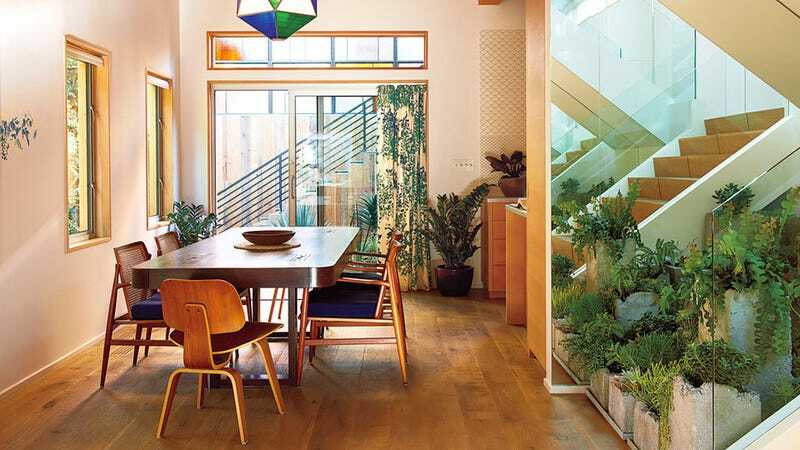 Artist Doug Aitken's new house is designed to bring the outside world in, with accents like plant prints on the walls, and extensive use of greenery throughout. But the eyes aren't the only thing his home appeals to. Buried in its concrete foundation are nine geological microphones sensitive enough to pick up and amplify the sounds of the tectonic plates shifting and grinding beneath the state of California. Providing a constant soundtrack of subtle clicks and drones throughout the house, accentuated with the sounds of nearby traffic, and even the tides rolling in and out. Imagine the symphony that must occur whenever an earthquake strikes.